Arthur Mar received a B.Sc. (Hons.) from the University of British Columbia in 1988 and a Ph.D. from Northwestern University in 1992 (under the supervision of James A. Ibers); he was an NSERC Postdoctoral Fellow at the Institut des Matériaux de Nantes in 1993–1994 (under the supervision of Jean Rouxel and Yves Piffard). 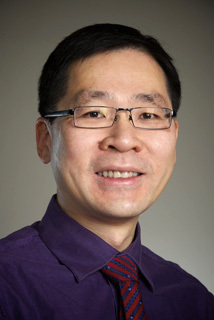 He is currently full Professor in the Department of Chemistry at the University of Alberta, leading a research group in inorganic solid state and materials chemistry. He has received the Faculty of Science Research award and numerous teaching awards at the University of Alberta. He has previously served on the editorial boards of Chem. Mater. and Acta Cryst. E, and currently serves on the editorial board of J. Solid State Chem. Our group focuses on the synthesis, characterization, and applications of inorganic solid state materials. The research interests straddle the traditional boundaries in chemistry (inorganic, physical) and science (crystallography, condensed matter physics, materials science). The motivations are both to discover fundamentally new structures and reactivities of the elements, and to develop applications of these compounds by exploiting their electrical and magnetic properties. Intermetallic compounds consist of combinations of metals in relatively fixed ratios. (For example, although a fictional gold-titanium alloy is supposedly used for Iron Man’s armor, there do exist real intermetallic compounds such as TiAu4.) We are interested in so-called polar intermetallics, involving combinations of metals from the left side of the periodic table (such as alkaline-earth, rare-earth, and early transition metals) with those from the right side (such as Ge, Sb, Bi, Au, Hg). Unlike other compounds familiar to molecular chemists in which a metal component typically loses electrons to become a cation (e.g. in a coordination complex or organometallic molecule), these polar intermetallics contain metal atoms in formally negative oxidation states, often forming unusual polyanionic networks. We target new modes of bonding of these heavier p-block and late d-block elements, and seek a detailed understanding through theoretical band structure calculations and X-ray spectroscopy. Intermetallics are not mere curiosities: they are already used in many important, widespread applications as structural materials in aircraft, superconductors in NMR magnets, permanent magnets in disk drives, and even catalysts for various organic reactions. There are also new exciting applications that take advantage of coupling multiple properties of intermetallics: thermoelectric materials with improved efficiencies could serve as an alternative for generating energy from waste heat; magnetocaloric materials may be used to design more efficient fluid-free refrigerators; giant or even colossal magnetoresistive materials from the basis of the emerging science of spintronics, important for information technology. We are studying ternary intermetallics containing f-electrons (lanthanides or actinides) and d-electrons (transition metals) in combination with heavy p-block elements, which provide an endless playbox of exotic physical properties for condensed matter physicists and solid-state chemists to examine. Many projects in our group pertain to energy and sustainability. These include the development of thermoelectric materials (discussed above) among Zintl phases and intermetallics, searching for better superconductors among transition-metal arsenides, and identifying new nonlinear optical materials in complex noncentrosymmetric chalcogenides.